Even though his SoilWarrior handles whatever he throws at it, Delhotal does pay attention to residue management and not just on corn acres. Delhotal farms with his father, raising corn, soybeans, and some alfalfa. He says they've experimented with reduced tillage since 2009 and have been exclusively zone tilling the past two seasons. While he credits the SoilWarrior with being the best tool he’s found for residue management, there are several things Delhotal has learned about the issue from years of strip-till farming. Delhotal says residue management begins with the combine. He uses a corn head that chops stalks right at the base of the plant. It spreads the stalks out evenly, which reduces residue issues. Some chopping heads fill the center of the row with stalks and leaves right where his strip is. 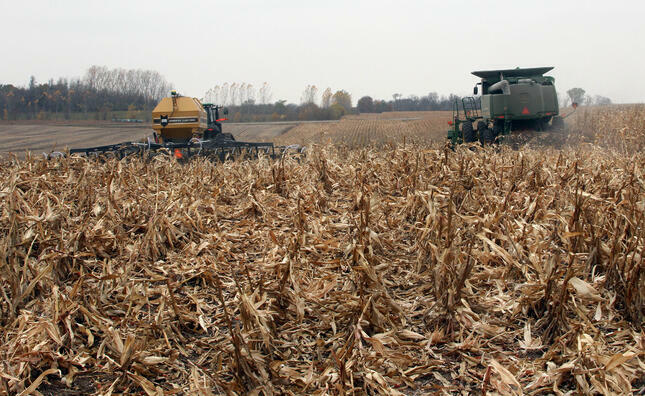 Whether he’s dealing with cornstalks or soybean residue, Delhotal strives to get even distribution across his fields. In addition to using a chopping head on corn, he also uses a spreader on the back of his combine to scatter soybean residue evenly. Delhotal says the two pass approach is another key part of his residue management. He makes a pass in the fall to till the zones and clear residue from them. Winter winds and driving snow push stalks back on top of the tilled strips. The spring pass really clears the zones and allows him to precisely place fertilizer while preparing a good seed bed for the coming crop. Learn more about Dave, the Delhotal Farms business philosophy, and services offered. 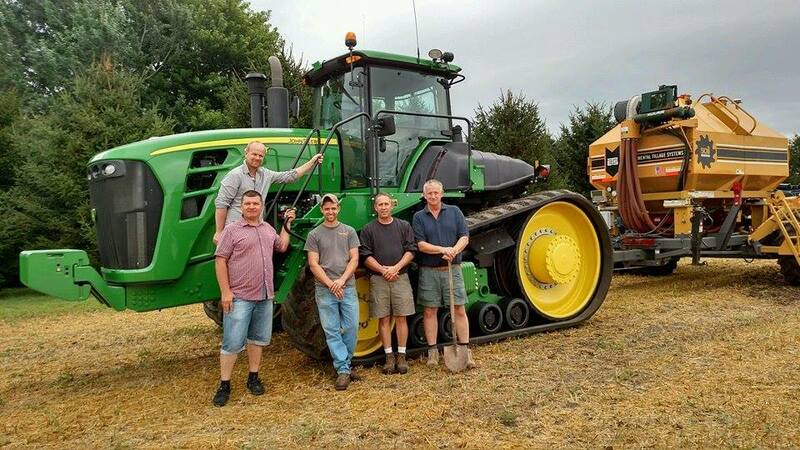 Dave and his father, Ray, hosted a group of Ukranian farmers interested in learning about strip-till during summer 2015. See how the SoilWarrior can help you tackle the challenges of strip-till by scheduling an on-farm demo.